Stoners really pride themselves on their glass collections, a fact that most are familiar with. These days, there are many talented glass artists out there that make pieces of all shapes and sizes. There’s glass in every color and hundreds of different forms, each artist with their own unique touch. I was lucky enough to snag a beautiful piece from Boroballers, a husband/wife team that works together to create some seriously awesome glass. The unique piece that I managed to grab was the tiniest pair of pipes I’ve ever seen, fully functional, and made in to earrings. The tiny pipes are a rainbow swirl in color and absolutely adorable. They are made with silver hooks and a small chain link connects the mini pipes to the hooks. These small pipes are 100% functional but it’s not recommended that you try to smoke out of them. Trust me, your eyebrows will thank you! These are purely for accessory use only but the fact that they are functional just makes them that much cooler. The glass is of really great quality, heavy even though they’re so small, yet not heavy enough to be uncomfortable in your ears. Also devoid of bubbles, these little minis are extremely well made. 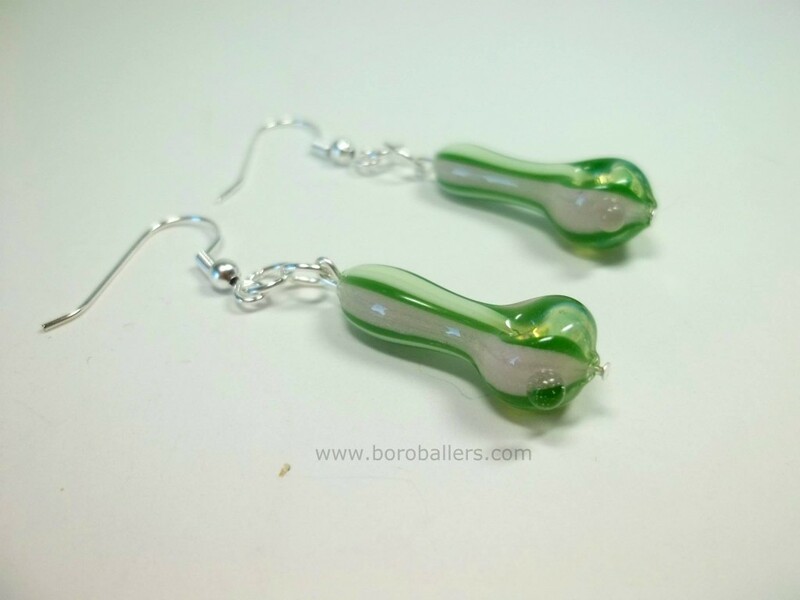 Since Boroballers recognizes those of us with stretched ears, there are projects in the works for people with plugs being able to wear these adorable pieces of jewelry. 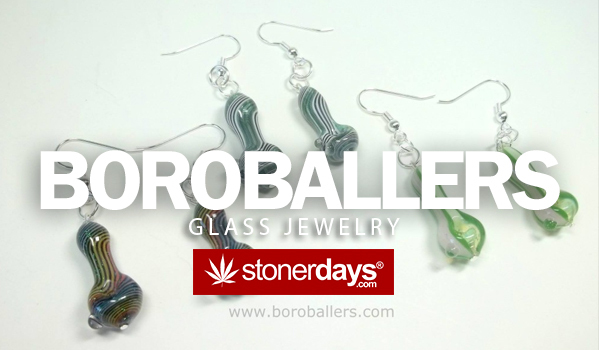 If you have any questions about the little mini earrings, you can contact Boroballers through their Instagram; @boroballers. Valentine’s Day is coming up and these cute little earrings are a great present for that special lady. Or just buy them for yourself as a treat. Even those with stretched ears can wear them now, as the hook is open and would allow someone with big lobes to wear the pieces. Just remember that your ears may possibly shrink slightly, causing discomfort. Supporting fellow stoners is a great way to support the community. Small shops that are run by your friends assure that you’ll get good customer service and a more one-on-one experience. Plus, lots of smaller stores can do custom orders, which means what you get is unique to you. Buying from smaller retailers will promote progress while at the same time helping fellow stoners out. 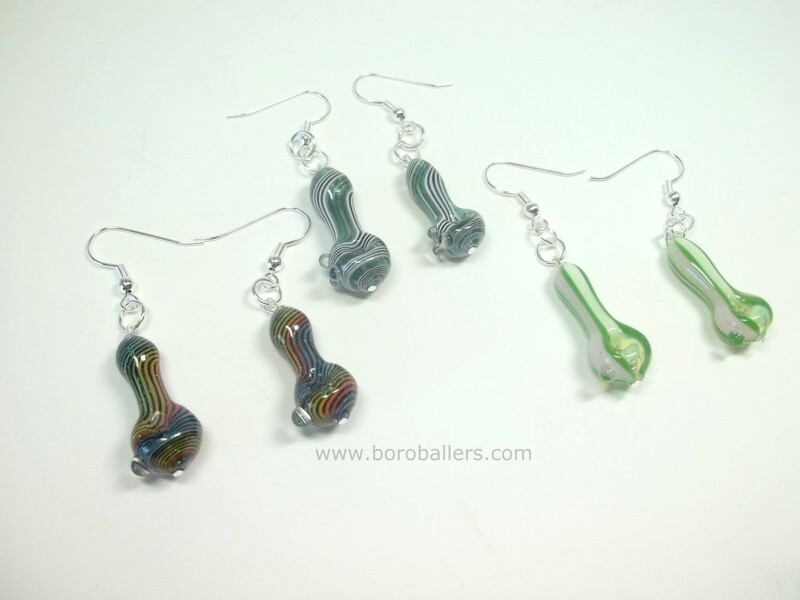 Check out the Boroballers Instagram for more information about the mini pipe earrings!